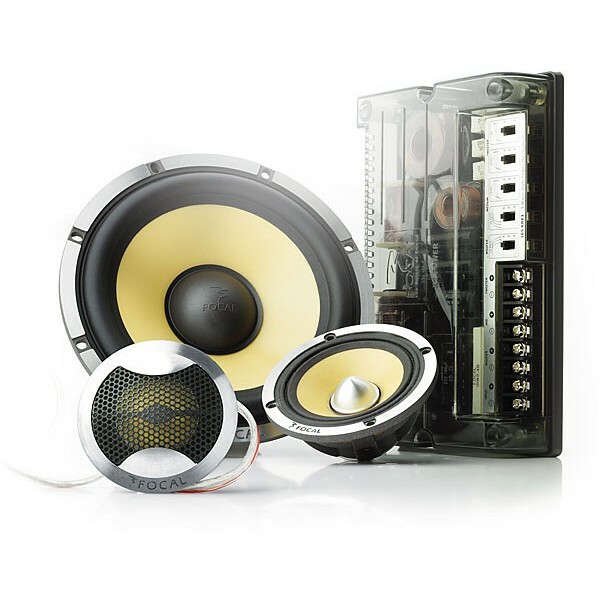 The K2 Power 165KRX3 6-1/2" component speaker system bears the hallmarks of Focal's "Power Hi-Fi" philosophy. The nimble 6-1/2" woofer, made from Aramid and glass fibers, demonstrates the control needed to reproduce delicate classical passages, yet it'll handle the power needed to drive your bass-heavy music with authority. The sturdy zinc-aluminum alloy basket is non-magnetic so it won't interfere with the speaker's own electronics. Focal's 2" inverted dome tweeter acts like a little woofer, dispersing the highs in a wide pattern to create an exceptionally natural soundstage. An additional 3" speaker, made from the same composite that's used in the woofer, provides the system with smooth midrange frequencies. An aluminum phase plug improves midrange dispersion so you'll hear clean, up-front vocals. The K2 Power crossover uses hand-made components developed by Focal to deliver an ideal blend of the highs, mids, and lows for a dynamic stereo image. You'll find 162 possible combinations of tweeter, midrange, and woofer settings so you can fine tune the sound to your car's environment. 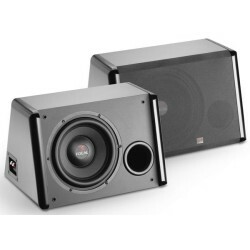 Mounting depth: woofer: 3-1/8"; midrange: 1-7/16"